A motorhome is the perfect example of RV freedom on the open road. Fun, adventure, and pick up and go mobility are all things a motorhome owner has ready at their fingertips. There are various motorhome types to choose from. Here, we’ll take a look at the versatile Class C motorhome and some of the benefits they offer RV travelers. 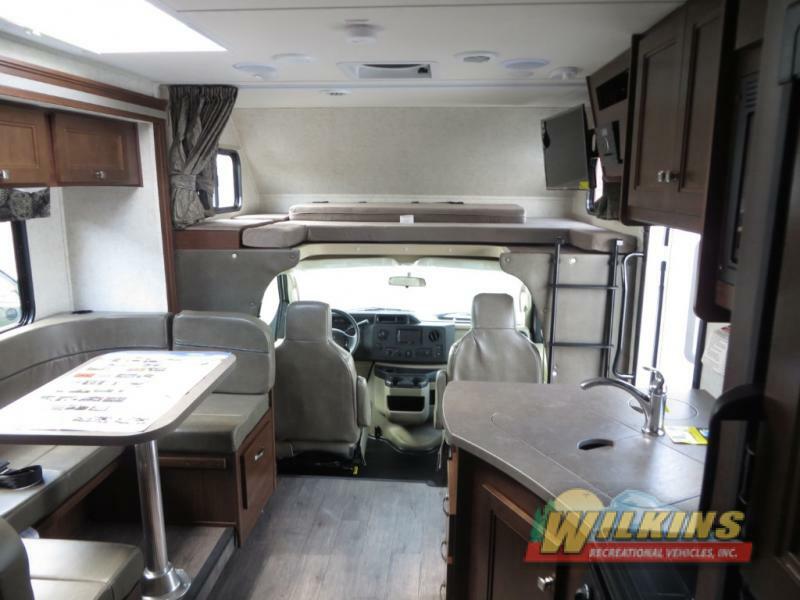 With a wide variety of Class C motorhomes for sale at Wilkin’s RV, there is a brand and model to suit a number of camping needs. Built on a van chassis, a Class C motorhome cockpit is similar to being behind the wheel of an SUV, van or truck. This is why Class C motorhomes can be an attractive choice for RVers new to driving a motorhome. In addition, some Class C RVs can be found in shorter lengths than many Class A motorhomes. 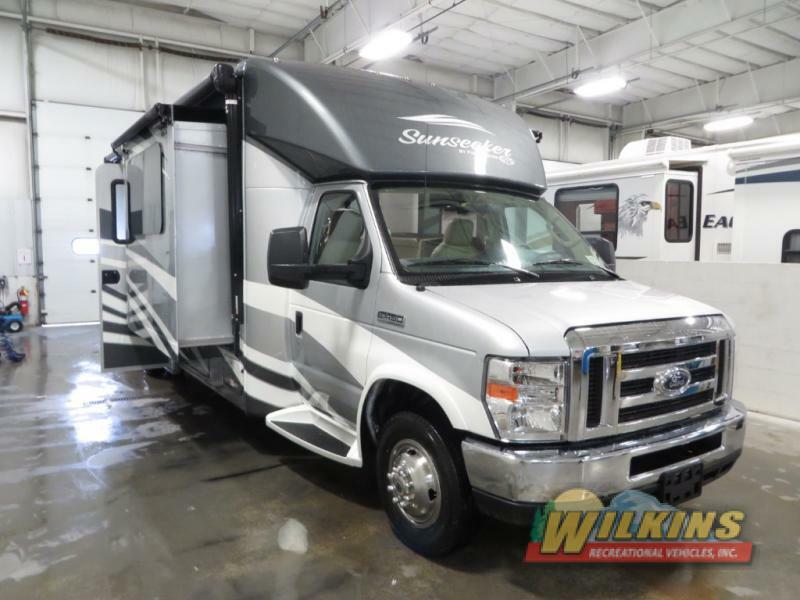 For campers looking to drive a small, nimble RV through tight parking lots, busy city streets and narrow campgrounds, a Compact Class C Motorhome can be a great choice. The Forest River Sunseeker TS, in particular, is perfect for compact maneuverability. There are many Class C floorplan styles to choose from, including layouts with bunk beds, multiple slide out rooms, a separate master bedroom, an extra bunk over over the cab and many more. Models such as the Coachmen Leprechaun 319MB feature an outdoor entertainment system with a TV, making this an excellent vehicle for tailgating. Travelers who need more power for towing or to get through steep mountain passages will want to take a look at a Diesel Class C Motorhome such as the Forest River Sunseeker MBS. 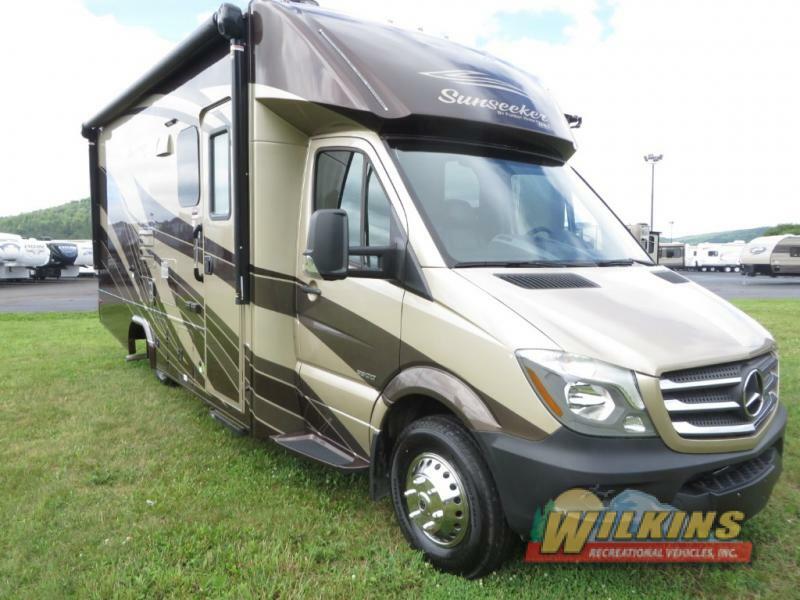 This remarkable motorhome is built on a Mercedes Benz chassis and has a number of upscale amenities that set this RV apart. 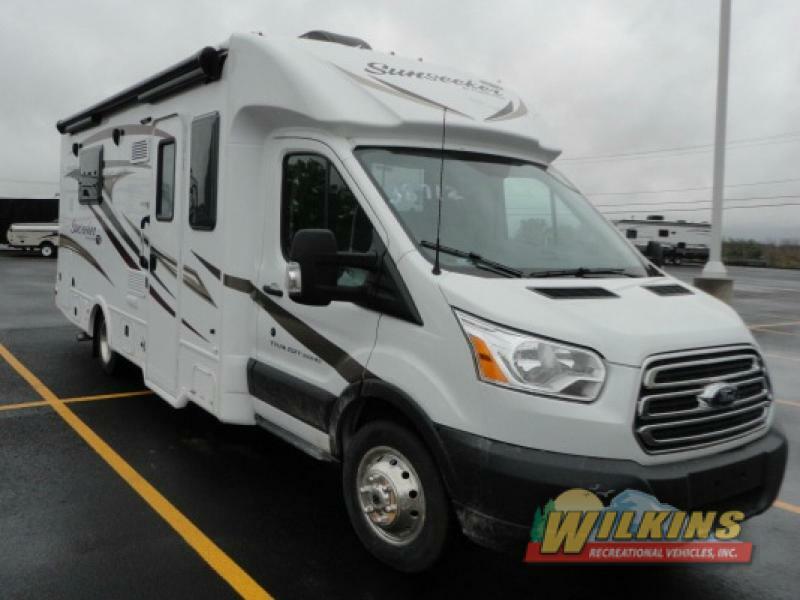 To take a tour of our entire New and Used Class C RV Inventory, Contact Us at Wilkin’s RV. 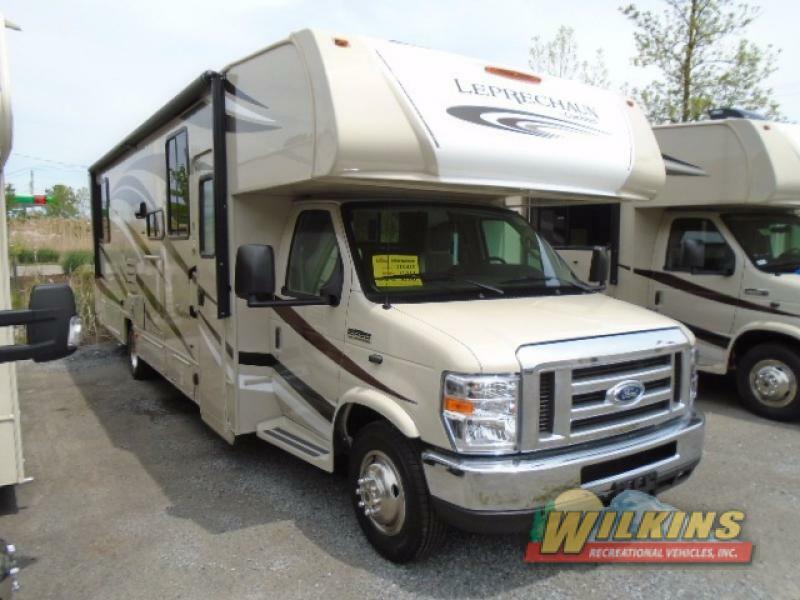 Our RV specialists will help you find the perfect RV to suit your specific travel needs. When the open road calls, be ready!